Download Four Stages to Creating a Strategy Execution Culture to learn how to build an organizational culture that amplifies execution and results. The ability to effectively execute is the critical key in turning vision into reality. Plan poorly, and market forces are likely to crush you. Execute poorly, and results are far worse. Creating an organizational culture of execution can have profound impacts on results, but it doesn’t happen overnight. 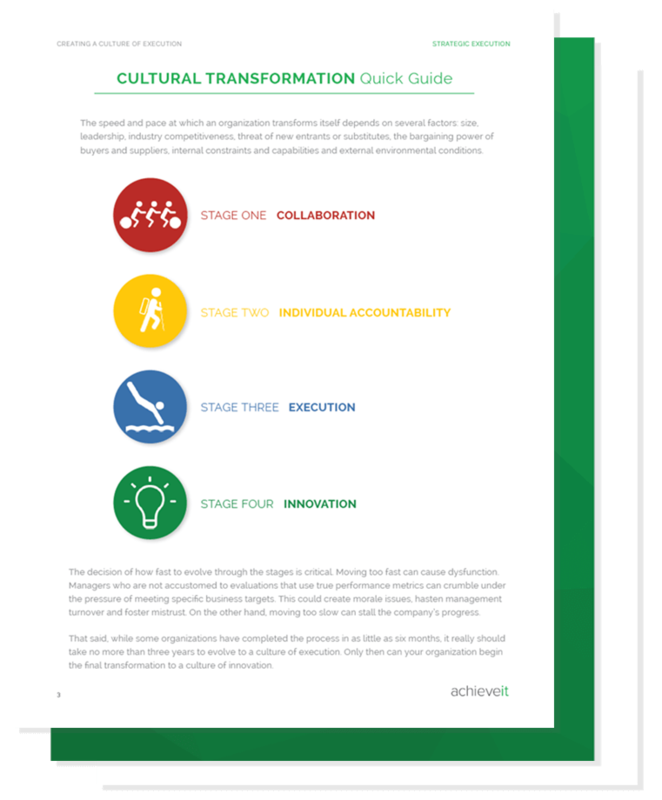 An organization must make its way through each of the four stages of cultural transformation. Then, it must hardwire the tools that allow execution to become the cultural norm.